The "Nixon-Querrie" volume contains genealogical sources of families resided in Richmond Hill area. Genealogical materials include family trees and tables, newspaper and journal articles, historical notes and sketches, plans and maps. The material is arranged in alphabetical order. 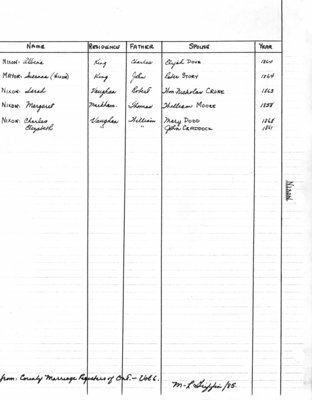 The full list of families represented in this volume is available in Personal Name(s) section.